A 4-in-1 multi-tasker powerhouse- It can take the place of your powder blush and cheek stain all in one innovative technology! This blush gives the perfect naturally pretty flush of color to the cheeks. This formula contains ingredients such as Plum Oil, Cherry oil, Hyaluronic Acid, Pomegranate, Seaweed Extract, Grape Seed, Aloe and Jojoba that help to leave your skin feeling nourished. MICA, DIMETHICONE, MAGNESIUM STEARATE, LAUROYL LYSINE, CARTHAMUS TINCTORIUS (SAFFLOWER) SEED OIL, TOCOPHERYL ACETATE, ASCORBYL PALMITATE, ETHYLHEXYL PALMITATE, PRUNUS DOMESTICA SEED OIL, PRUNUS CERASUS (BITTER CHERRY) SEED OIL, PUNICA GRANATUM EXTRACT, CAMELLIA SINENSIS LEAF EXTRACT, CAMELLIA OLEIFERA SEED EXTRACT, VITIS VINIFERA (GRAPE) SEED EXTRACT, ALOE BARBADENSIS LEAF EXTRACT, LAMINARIA OCHROLEUCA EXTRACT, CAPRYLIC/CAPRIC TRIGLYCERIDE, RETINYL PALMITATE, SILICA DIMETHYL SILYLATE, BUTYLENE GLYCOL, HYALURONIC ACID, LONICERA CAPRIFOLIUM (HONEYSUCKLE) FLOWER EXTRACT, LONICERA JAPONICA (HONEYSUCKLE) FLOWER EXTRACT, SIMMONDSIA CHINENSIS (JOJOBA) SEED OIL, [+/- TITANIUM DIOXIDE (CI 77891), IRON OXIDES (CI 77492), IRON OXIDES (CI 77491), IRON OXIDES (CI 77499), BLUE 1 LAKE (CI 42090), YELLOW 5 LAKE (CI 19140), ULTRAMARINES (CI 77007), RED 27 LAKE (CI 45410), RED 7 LAKE (CI 15850), RED 28 LAKE (CI 45410)]. Vitality Cheek Flush Stain Powder Blush Stain is rated 4.5 out of 5 by 28. Rated 5 out of 5 by Katgirl66 from More compliments today than ever! I bought the Pretty in Peony blush and today, I used it with my Celebration Illumination foundation and just a touch of one of the IT lipstain/lipbalms. I literally had 6 patients tell me "You look so pretty", "You are absolutely glowing", "Your skin is so beautiful", "I don't know what you're doing, but whatever it is, keep doing it, you look fantastic!". I love how pigmented the color is, so I apply just a teeny bit and blend, blend, blend. I am going to be 50 next month and my skin has literally never looked better and I have never felt more beautiful! I wish I'd had these products when I got married. Rated 5 out of 5 by ClassyinVT from Simply the best This is the best blush I have ever used. It has awesome staying power - I've never seen myself with blush after noon without having to reapply! I find it goes on super easy and smooth after using Bye Bye pores pressed powder. Just need a teeny amount, use a very light hand. I use the Peony now for spring and summer, which similar to the Nars "O" color that I used to use. Peony has a touch more pink, which I find more flattering and less orangey than O. I'll use the Mauve shade for fall and winter for a deeper rose color, which is similar to Nars "Sin" color, but slightly brighter and less brown. Don't be afraid of these intense colors ladies, just go lightly and you'll look fab!!! Thank you Jaime for yet another wonderful product - you are a lovely lady and I am an IT convert for life!!!!! Rated 5 out of 5 by emory2001 from Wonderful Blush I bought the Magical in Mauve color from one of the big beauty stores, and I absolutely love it. Do you know how HARD it is to find a nice cool wine-toned blush? It seems 99% of blushes are either screaming hot pink, or warm-toned which I cannot wear because that inevitably looks completely orange on me. This blush is perfectly cool-toned, sophisticated, and even with a hint of sparkle, the color looks very professional, which I need it to be for my job. It's heavily pigmented, and since I'm pale I don't need much at all, which means it will last a long time. Please never stop making this color. 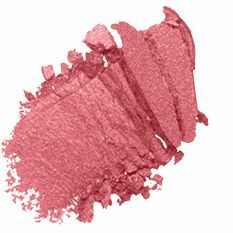 Rated 4 out of 5 by BusyRN from Little goes a LONG way This blush is so rich in color. Use sparingly though because it "flushes" as soon as you touch your face. I learned to tap brush in blush, then tap off excess, then softly sweep from hairline to cheeks to apples. If you go the other way, it will "stain" your apples and not blend. I had to practice and use powder to help tone it down. I think this pot will last for years! The color lasts all day and enjoy the compliments I get! Practice! Rated 4 out of 5 by LA Grandma from Use sparingly Instructions for use are "right on.' Just lightly touch the brush to product, or blush is heavy and unnatural when applied. Long-lasting natural finish if used sparingly. Rated 5 out of 5 by Annie70 from Multi Purpose glow! I love this blush. I just use a light tap with a brush. A little goes a long way and the effects are long lasting. I also use it as a lip liner and it last for hours! Rated 2 out of 5 by Grmd870 from Blotchy I found the blush to be blotchy when applied over the CC pressed powder. I do know how to apply. It was impossible to adjust once it was on my skin. The color was also much brighter than I anticipated.